Revered President Maharaj is scheduled to return to Belur Math on 12 April after his visit to the Institute of Culture, Kolkata. He is keeping well. Swami Vagishananda ji will visit Durgapur and Ramharipur from 5 to 13 April, Balaram Mandir, Kolkata, from 20 to 22 April, and Belgharia, Kolkata, from 28 to 30 April. He is keeping well. Swami Gautamananda ji is recovering satisfactorily from the hip fracture he suffered on 25 February. He will remain in Chennai Math throughout April. Swami Prabhananda ji will return to Belur Math on 12 April from Baghbazar centre, Kolkata. He is keeping well. Swami Shivamayananda ji is scheduled to return to Kankurgachhi Math on 28 April after his visit to the northern parts of West Bengal. He is keeping well. Swami Suhitananda ji will visit Malda from 1 to 10 April, Medinipur from 17 to 19 April, Kathamrita Bhavan, Kolkata, on 20 and 21 April, and Jalpaiguri, Siliguri and Darjeeling from 26 April to 14 May. He is in good health. The birthday (janma-tithi) of Sri Ramakrishna was celebrated at Belur Math on Friday, 8 March, with spiritual fervour and delight. Cooked prasad was served to about 35,000 devotees. Swami Vishwanathananda presided over the public meeting held in the afternoon. As part of the celebration, devotees’ conventions were held on 13 and 14 February in which about 2500 devotees participated on each day. 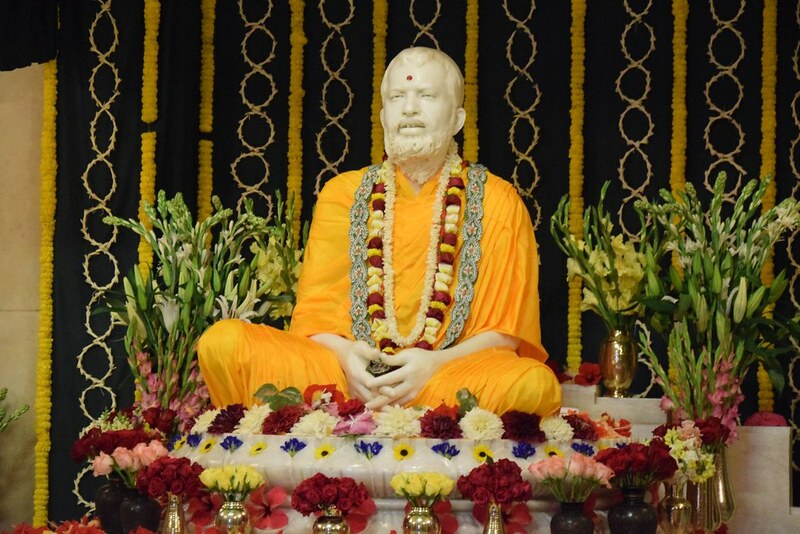 The annual Public Celebration in connection with Sri Ramakrishna’s birthday was held at Belur Math on Sunday, 17 March. 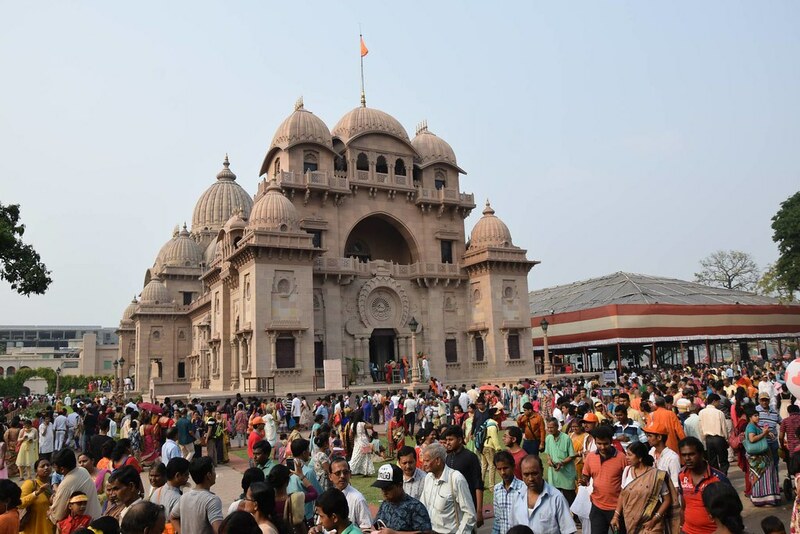 More than a lakh people visited Belur Math in the course of the day. Cooked prasad was served to about 40,000 persons. Owing to some unavoidable circumstances, the fireworks display was cancelled this year. Baranagar Math: Four lecture programmes at the centre and also in a nearby school between 15 and 29 March which were attended by 264 students and 30 teachers. Coimbatore Mission Vidyalaya: Cultural competitions at three colleges in Udumalpet and Coimbatore on 26 & 27 February, and 6 March. In all, 507 students took part in the competitions. At all the venues, the competitions were followed by a talk, an awards ceremony and a skit. Hatamuniguda: A written quiz competition at a school in Koraput district on 9 February in which 140 students took part. The centre also held two youths’ conventions on 26 and 27 February which were attended by a total of about 350 youths, and a lecture programme at a nearby girls’ high school on 26 February attended by 400 students and teachers. Hyderabad: Four youths’ conventions in Suryapet, Kothagudem, Mahabubnagar and Nirmal districts of Telangana on 26 February and 1, 11 and 24 March which were attended by about 3000 youths in all. Malda: A youths’ convention on 10 March in which 470 delegates from 8 colleges in and around Malda participated. Mangaluru: Lecture programmes in 14 colleges in March which were attended by about 2750 students in all. Mysuru: Five workshops between 1 and 15 March in which a total of 1044 students from 9 colleges took part. Naora: A lecture programme on 30 March which was attended by about 1200 persons. Pune: Conventions at five colleges in Nashik and Amravati districts for tribal youths in February and March. In all, 1077 youths took part in the conventions. Srinagar: Cultural competitions at a girls’ orphanage in Baramulla district on 24 March in which 60 students participated. The competitions were followed by a talk and a prize distribution ceremony. Vadodara: An essay-writing competition from November to January in which 1159 students from 213 schools of 14 districts in Gujarat took part. Prizes were awarded to the winners in the month of March. Vijayawada: A special event consisting of an inspirational talk and a question-answer session on 20 March which was attended by 670 students and 60 teachers. Colombo, Sri Lanka: A lecture programme at the centre on 10 March and two special lectures at Batticaloa sub-centre on 11 and 23 March which were attended by about 6500 people in all. Mymensingh, Bangladesh: A public meeting on 1 March attended by about 100 people. 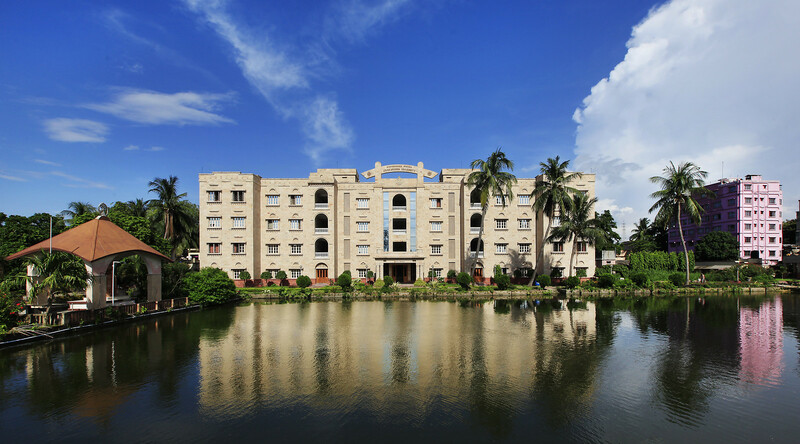 Phone Numbers: Baliati centre, Bangladesh, has discontinued its telephone connections: 65161 45126 and 2772 5316. It has a new mobile telephone connection: 17150 36393. Lucknow Sevashrama inaugurated the year-long golden jubilee celebration of its Vivekananda Polyclinic and Institute of Medical Sciences on 18 February. 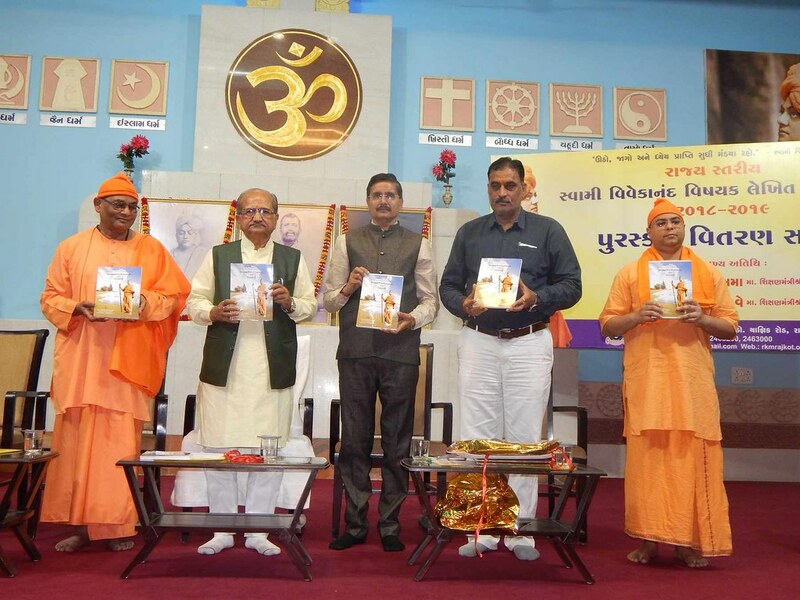 Rajkot centre brought out on 24 February a commemorative volume to mark the 125th anniversary of Swamiji’s visit to Gujarat. Chennai Math distributed buttermilk and sharbat to about 20,000 people on 17 and 18 March on the occasion of the annual Ratha Yatra and other celebrations of Sri Kapaleeshwarar Temple, Chennai. The Math also took up cleaning of the streets around the temple after the celebration on 18 March. Swami Vagishanandaji inaugurated the extension to the prayer hall at Gadadhar Ashrama, Kolkata, on 24 March, the sacred birthday of Swami Yoganandaji Maharaj. The National Assessment and Accreditation Council (NAAC) awarded the highest grade of A++ to RKMVERI (deemed university), Belur, for five years in the first cycle of its assessment. The Cumulative Grade Point Average (CGPA) of 3.66 (out of 4) secured by RKMVERI is the second highest CGPA obtained so far by the universities accreditated as per the Revised Accreditation Framework of NAAC. Kailashahar Ashrama held a blood donation camp on 3 March in which 51 people donated blood. Pala centre conducted medical camps at two places in Kottayam district on 23 December and 20 January in which specialist doctors in a number of disciplines treated 298 patients. Free medicines were given to patients. Porbandar centre held a cancer detection and awareness camp on 17 February in which 69 patients were examined. Salem centre conducted a medical camp on 24 March in which 733 patients were treated. The refurbished cardiology ward at Seva Pratishthan, Kolkata, was inaugurated on 3 March. Seva Pratishthan, Kolkata, conducted a day-long medical camp at Belur Math on 17 March, the day of the annual Public Celebration of Sri Ramakrishna’s birth anniversary. A team of eight doctors, five nurses and some paramedical staff treated 343 patients in the camp. 2 Gourhati 14 March 73 ‒ 10 An eye hospital in Howrah Dt. 9 Rajamahendravaram January to March 494 119 35 A hospital in East Godavari Dt. Baranagar Mission Ashrama conducted values education programmes at four colleges in Kolkata on 27 and 29 March. In all, 304 students and 118 staff members attended the programmes. Delhi centre held a students’ convention on 2 February in which 820 students from a number of schools took part. Further, it conducted nine values education workshops in Delhi, Ernakulam, Chandigarh, Gurugram and Visakhapatnam between 16 February and 8 March which were attended by a total of 676 teachers and principals and 169 students. The centre also distributed 110 LED projectors to the government schools in Haryana, Madhya Pradesh and Rajasthan on 26 and 27 March. Gurap Ashrama conducted a convention on 15 March which was attended by 320 people, mostly youths. Medinipur centre held values education workshops at seven educational institutions in three districts of West Bengal from 6 to 27 March; they were attended by 2814 students and teachers. Rajkot Ashrama conducted two values education programmes on 15 and 18 March which were attended by 160 primary school students. Vadodara centre held values education programmes at 21 schools in 4 districts of Gujarat from January to March which were attended by 5170 students in all. Kamarpukur centre conducted a cleanliness drive at Kamarpukur village on 24 March. Mangaluru Ashrama conducted the following activities in February: (i) five cleanliness drives in Mangaluru involving 1850 volunteers, (ii) awareness campaigns for 24 days in which volunteers reached out to nearly 1250 households in different parts of Mangaluru city, spreading awareness about cleanliness, and (iii) ten seminars in colleges covering 3560 youths. We record with sorrow the passing away of two of our brother-monks. Swami Sureshanandaji (Hari Maharaj) passed away at Mysuru centre on 8 March, the sacred birthday of Sri Ramakrishna, at 10.05 pm. He was 90 and had been suffering from old-age ailments for some years. He joined the order in 1950 at Bengaluru Math and received sannyasa diksha from Swami Shankaranandaji in 1960. He served as an assistant in Bengaluru, Chandigarh and Mysuru centres, and later as the head of Mysuru centre for seven years. After relinquishing the headship in 1998, he had been living at our kutir in BR Hills (about 90 km from Mysuru) and at Mysuru centre. He made a significant contribution to the growth of Mysuru centre, especially its Vidyashala, a residential pre-university college. He was known for his kind heart, keen sense of humour, austere lifestyle and meticulousness in work. In him the sangha has lost a member of sterling sadhu qualities. Swami Prashantanandaji (Narayan Maharaj) expired at our Thiruvananthapuram hospital on 12 March at 2.30 pm owing to cardiac arrest. He was 79. He had been suffering from hypertension, diabetes and other old-age ailments and was confined to bed for more than two years. An initiated disciple of Swami Yatishwaranandaji Maharaj, he joined the order in 1963 at Thrissur Math, and received sannyasa diksha from Swami Vireshwaranandaji Maharaj in 1973. He served as an assistant at Thrissur, Gol Park, Chennai Math, Thiruvananthapuram and Tiruvalla centres and later as the head of Thrissur centre. He had been living a retired life at Thiruvananthapuram centre for the last few years. He was jovial and amiable by nature.